Welcome to another edition of Feminist Friday! That time of the week where we get to share a handful of our favorite videos we are currently digging, especially because they are part of our definition of intersectional feminism. This week it’s all about documentaries, web series’ & elevating the lives and stories of women of color as well as queer women. First up is a feature-length documentary from directors Catherine Gund and Daresha Kyi called ‘Chavela’. It is a biographical film, following the life of singer Chavela Vargas, who was born in Costa Rica and lived in Mexico. The singer lived to be 93 when she died in 2012. She was known as a barrier-breaker in the ranchera music genre, because she chose to wear pants and shirts instead of flamboyant skirts and typical feminine attire. She came out as a lesbian at the age of 81, but her sexuality was known among many in the industry. One of the women she was connected with at one stage was artist Frida Kahlo. She became an alcoholic, which stalled her career at one stage of her life. Eventually she went on the garner international acclaim with her music. The trailer gives us a glimpse into the life of a woman who has been described as a game-changing artist. 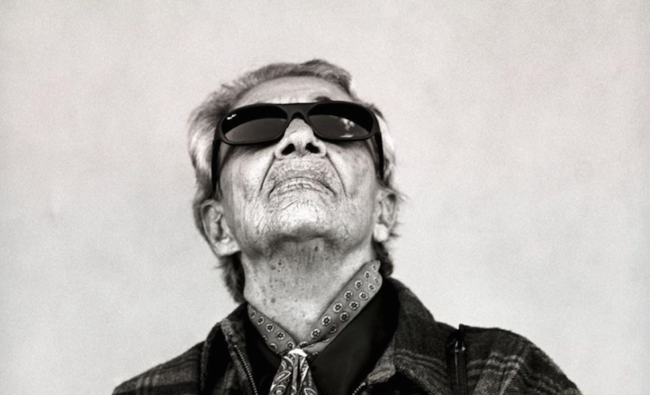 “Centered around never before-seen interview footage of Chavela shot 20 years before her death in 2012, and guided by the stories in Chavela’s songs, and the myths and tales others have told about her – as well as those she spread about herself – the film weaves an arresting portrait of a woman who dared to dress, speak, sing, and dream her unique life into being,” says a description. To find a screening of ‘Chavela’, visit the website. The second documentary comes from British-Nigerian filmmaker Aiwan Obinyan, called ‘Wax Print: From the Cradle to the Grave’. As Melan Mag describes, the film follows Aiwan’s year-long journey tracing the history and symbolism of Ankara, also known as Dutch wax-print fabric. The Ankara print is something many of us are familiar with. Having origins in West Africa, the print is regularly seen in contemporary Western clothing and designs. The director says she wanted to explore more about the prints and how it related to her own heritage. “From the moment we’re born, we’re wrapped in wax-print fabrics. They’re a huge part of special occasions throughout our lives, to the extent that we’re even buried in them. I wanted to know how this came about, so I started looking into the history, and that’s when unexpected threads started coming to the surface,” she said in a video statement about the film. The fabric has been seen as a symbol of power and rebellion even during the American Civil Rights Movement. Throughout the film, alongside personal stories, Aiwan connects the Ankara fabric to other social and political issues such as colonialism, economics, as well as how it has become a source of empowerment for black women. Aiwan has been raising money on Kickstarter to complete production on the film, and plans to also release a wax print mini series form the footage shot in Africa. We can’t wait to see the full trailer and hear more about a release date for ‘Wax Print’, delving into a culture and tradition that should be more well-known given the prominence of the designs in fashion and textile. Visit the Wax Print website to keep up to date with the documentary’s progress, and hear more from Aiwan about her project below. The final video we want to share is a trailer to a new web series called ‘195 Lewis’, a dramedy series that follows a black lesbian couple as they strive to practice radical honesty in their newly polyamorous relationship. Set in the heart of Bed-Stuy, Brooklyn, among a singular group of close-knit young black lesbian friends, the series follows Yuri and Camille as Yuri’s growing infatuation with a new lover uptown leaves Camille uncertain about her role in Yuri’s life. Tensions rise when Kris, Yuri’s friend from college, unexpectedly pops up on the stoop in need of a place to stay. Written, directed and produced by a team of self-identified black, queer women, ‘195 Lewis’ highlights the intricacies of the lives these women create for themselves and offers a glimpse into a world often unseen and overlooked. It reflects a generation’s endeavor to define romantic love and intimacy outside of pervasive patriarchal ideologies. From navigating ethical non-monogamy to centering artmaking as a profession both profitable and impactful, the show explores radical honesty, self-reflection, and love in all its forms. Through smart dialogue, cutting humor, and brutal truths, ‘195 Lewis’ shifts conventional notions of what it means to be black, queer, and polyamorous. The series is written Rae Leone Allen, Yaani Supreme, Chanelle Aponte Pearson, and Terence Nance, and stars Rae Leone Allen, Trae Harris (‘Orange is the New Black‘), D. Ajane Carlton, Sirita Wright, Roxie Johnson, and Taja Lindley. You can learn more about the series on the website, and watch the trailer below.